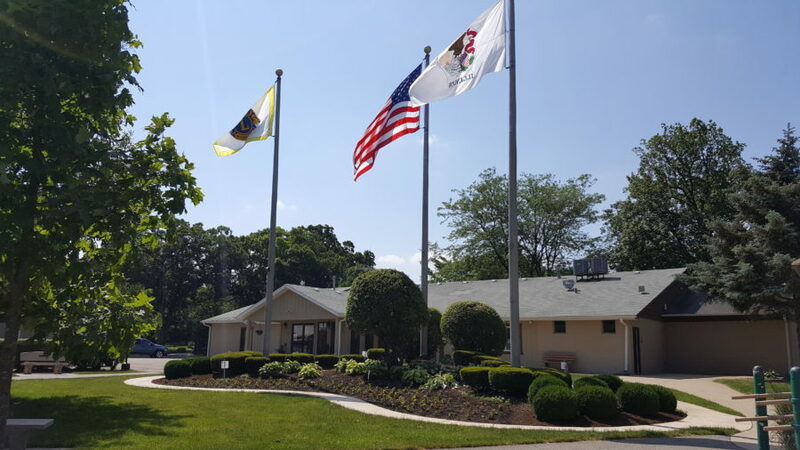 Lions Park is located at 500 South Filmore Street, Elburn, IL. Our park is a 25-acre, beautifully landscaped park perfect for your next gathering – whether indoors or outdoors. Recently, we have made many updates to our facilities. In our Club House, we replaced the ceiling tiles and also installed energy-efficient lighting with the aid of a grant. We also installed air conditioning! We’ve also done some repaving of the South parking lot and started replacing the outdoor lighting. These projects were done largely through the efforts of volunteer work.